, you’re able to sew jeans, make a quilt for the chilly winter months, or simply hem a pair of pants in just minutes. It’s a great machine with a ton of amazing features and there is 11-inches of generous workspace! Before we dive right into our Janome Memory Craft 7700 QCP review, let’s take a look at some of the exceptional features that you’ll find in this sewing machine. There are so many great features that are included with this Janome sewing and quilting machine. With that said, it’s not a machine that a beginner would purchase due to its price, but it is a machine that you would expect a professional seamstress or a very avid sewer to have in their home. It’s one of the best of the best, and our review of this model was nothing short of amazing. The 7700 takes everything that you love about the Janome 6600P and adds more features and requests that users had. Offering superior engineering, the moment you take this model out-of-the-box, you’ll notice that it’s heavy and durable. This model comes with a cast metal frame that provides the utmost in support – something you won’t find in many of the world’s best sewing machines anymore. A step above the competition in durability, this is a product with superior stability. When you sit down to start your first project, you’ll notice that the 11-inch space allows for more than enough room to make window treatments, big quilts and even slipcovers. A feature that often goes unrepresented, there are five bright LED lamps in three locations on this machine to ensure that no shadow ever hinders your sewing project. You’ll be able to see every last millimeter of your design without a single shadow being cast on it. With the push of a button, you’ll automatically be able to thread your needle and start your first sewing project. Extra high pressure foot lifter allows you to easily guide thicker fabric underneath the presser foot to begin sewing. Extra foot pressure allows you to adjust seven levels of pressure to ensure that your fabric never slips when sewing. 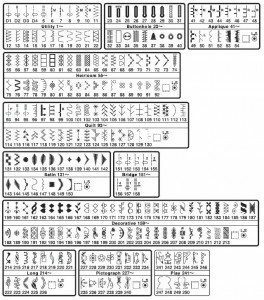 Plate markings are present that allow for easy needle drops, cornering guides and even seam lines to be constructed without measuring. This is all done through a cloth guide that will help you make the perfect seams on the first try. 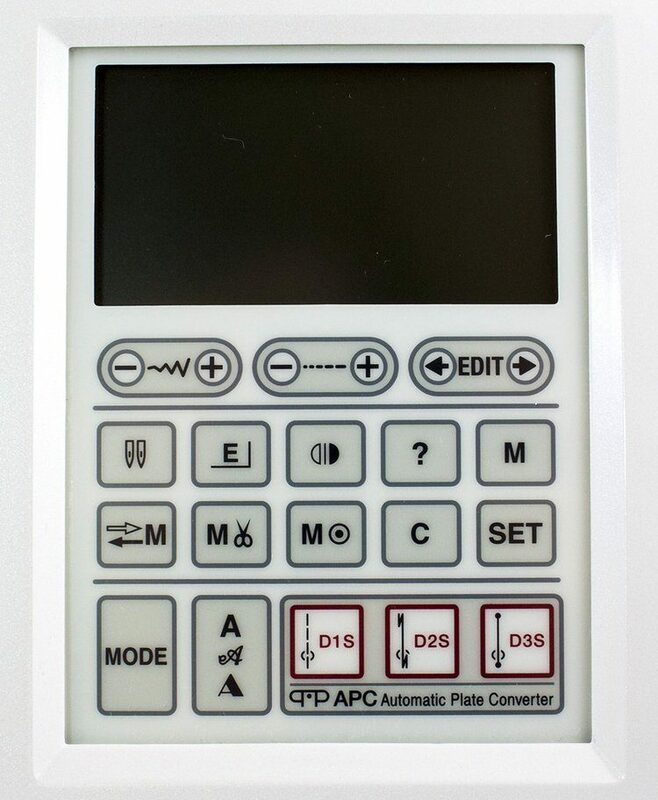 Automatic plate converter allows you to create single needle holes whenever needed. You’ll also find that the APC allows for the most precise stitching in the industry. What’s really great about this machine is that you can see all of the stitches directly on the LCD screen. Yes, many of these stitches would be useful for the average sewer, but remember that this is also a quilting machine, which requires an immense number of stitches in order to be robust. Custom stitches are available as well, and you can make your own original designs that are up to 50 characters in length. You can even program a lock stitch at the beginning and end of the design to make it effortless. 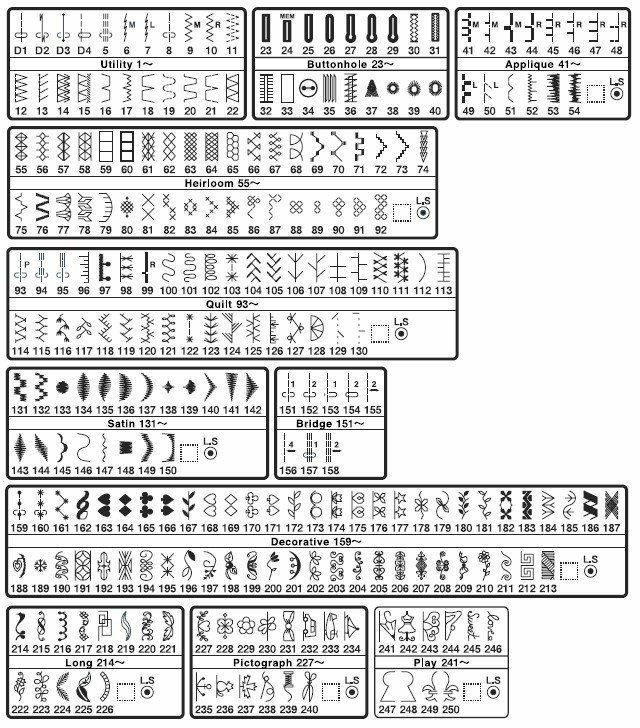 There are over 20 memory banks to hold your individually-created stitches, and this is perfect for seamstresses that want to really create their own unique projects. 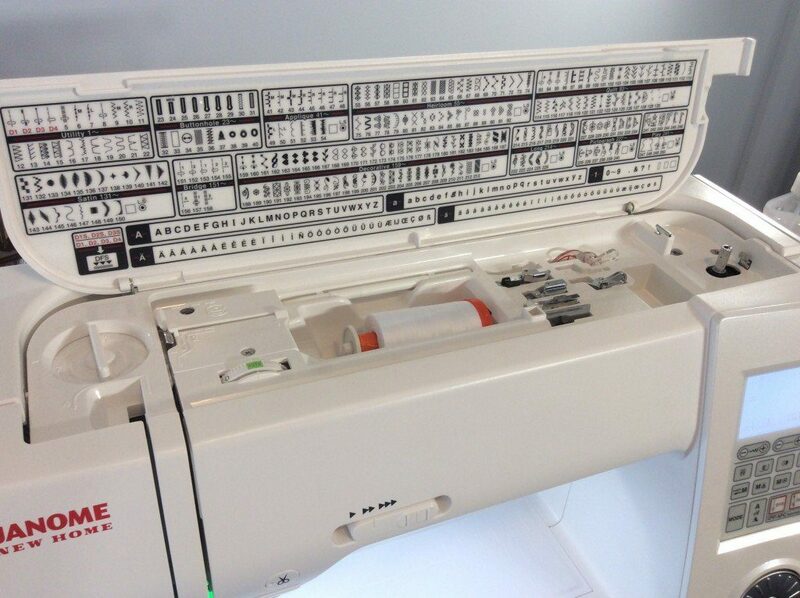 The Janome 7700QCP comes with a variety of different setting adjustments that makes quilting a breeze. First and foremost, you’ll be able to use the LCD screen to alter the length of your stitch. There’s also a pattern stitch length calculation right on the front of the screen, and you will also be able to choose your sewing speed. Sewing speeds can go up to 1,000 stitches per minute, but you also can lower your speed and use a slow speed with a stop and start function. An adjustable kneelifter comes standard with this model, so if you need both hands to move fabric around – much like you’ll need with a quilt – you’ll be able to raise the needle with your knee. This is perfect for anyone that loves to take on larger quilting projects. The freearm offers almost a foot of space, and an extra-high pressure foot lifter is perfect for thick layers of fabric. You know those times when you have a thicker quilting project, and you simply have to smush the fabric underneath the pressure foot? You never have to do that with this model. And I almost forgot to mention that there is a lock stitch key for the perfect finishing. You can even program an auto thread tie-off into your stitch combinations for simple and easy quilting and sewing. When you go from seam to seam, you’ll also appreciate the memorized needle up and down functionality. If that wasn’t enough to pique your interest, there is also an automatic programmable thread cutter included. This will trim the tails of the thread to less than half an inch, and pull the thread to the back of the fabric – all of the hard work is already done for you. But even with all these features, one question still remains: what about storage? Right on the top of the unit, you’ll be able to push up the lid and find that there are two generously-sized storage bins available to you. This is where you’ll store your thread, extra needles and other items. Small and convenient, this allows you to get started with your sewing quickly and easily. An acrylic extension table is included with each purchase, and a semi-hardcover is also included as well as several presser feet. 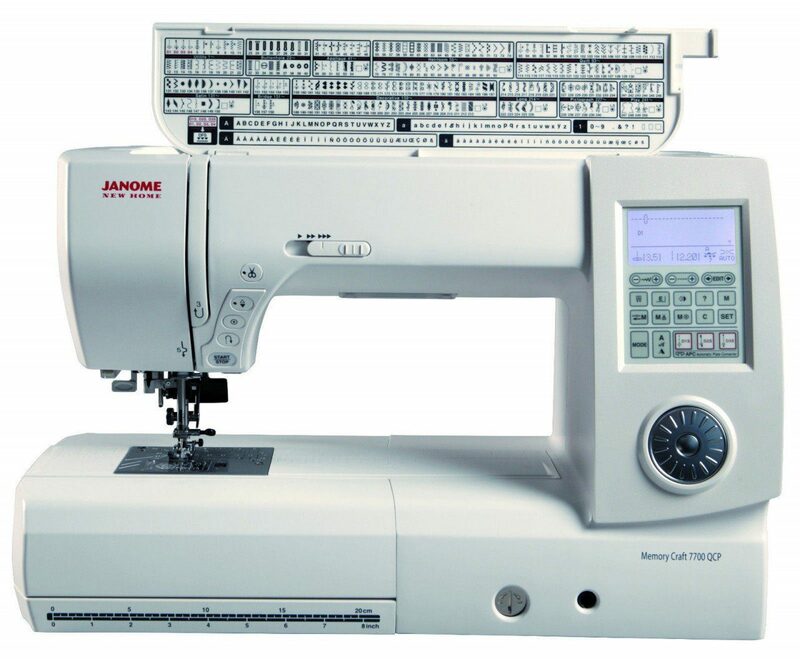 The only fault of the Janome 7700 sewing machine, if you can call that, is its high price. This isn’t a machine that you would expect to purchase for someone that is just dabbling in sewing – it’s a professional grade machine. With that said, this machine offers so many extras that it’s virtually impossible to pass up. Not only is this model very quiet when being used, the seams it creates are simply unmatched in the industry. I’ve never experienced seams this straight or precise before, and you don’t need to measure seems ever again thanks to the unique design. If you can afford this model, it’s definitely my absolute favorite sewing machine/quilter on the market. -> Click here to purchase the Janome New Home MC7700QCP. 9.3 tech score Yes, the Janome 7700 is an expensive sewing machine, but if you are serious about sewing it is definitely worth it. An exceptional machine in almost every category, you are guaranteed to love it. 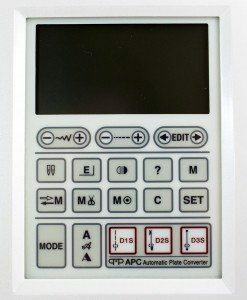 I recently purchased the Janome Horizon MC 7700 QCP. I love it…would like to know if anyone else has experienced inconsistent bobbin thread tension using the recommended – auto tension. I found the stitching on the bottom was not a something I would want someone to see. If I use a manual tension setting of 4 then all is good. Anyone have any thoughts on this?